After years of struggling with a old car and a decreasing grid, the Indy Lights finally looks to have turned a corner next year with the announcement of a new Dallara race car which has sparked a resurgence in interest in the series. The feeder series to Indycar now appears to have restored itself as a haven for young North American open wheel racers, whilst simultaneously being a viable alternative for frustrated talented young European drivers. It’s only the middle of October yet already the series has confirmed 10 teams have already agreed to run in the series next year, with likely two cars from each team producing a likely grid of 15-20 cars. This is easily an improvement over the past few years where then entries have been around 10-14 cars. Those already confirming their orders are powerhouse team Schmidt Peterson who have ordered two cars for their Indycar feeder team. Other existing teams to place orders are 2014 front runners Juncos and Belardi racing who have both ordered two cars also. New team McCormack racing have also confirmed their commitment to their series, whilst sportscar team 8star motorsport has confirmed one entry, with the potential for a second also. Existing teams Andretti Autosport and Team Moore are some of the team likely to have placed orders but yet to go public with their intentions to run in the series next year. On the driving front, it appears the quality of the grid will be greatly improved next year. Championship runner up this year Jack Harvey is working on a deal to return to the series next year. He will be keen for the title but will face stiff competition from the likes of 2014 Pro Mazda champion Spencer Pigot, who is likely to move up to IndyLights . Others likely to be returning are 2014 front runners Zach Veach, Matthew Brabham and Luiz Razia. 8Star are also keen to run promising sportscar racer Sean Rayhall if they can find the budget, with young racers Alan Sciuto and Parker Kligerman potentially earning themselves a seat next year after impressive post-season tests so far. Finally leading the European racing influx so far for next year is Puerto Rican racer Felix Serralles, the only confirmed driver for next year so far. He will join the 2014 champions Belardi racing for next year after some difficult years in the European F3 Championship. Serralles previously proved his considerable talent in the British racing scene, and expect several more racers abandon the cut and thrust money dependent European racing scene for a fresh start at stardom in Indycar. The final rung on the Mazda Road to Indy scheme is already creating plenty of buzz around the series with an influx of new teams and a new Dallara racer for next year. From here the future looks bright for the Indy Lights series with the support from Mazda providing young drivers the support to move up from the bottom rungs to Indycar, such as with 2014 champion Gabby Chaves and for Spencer Pigot next year. The series will hopefully entice plenty of European racers across to the series with the promise of a part season in Indycar including the a chance at the Indy 500 for the champion surely enough to tempt those disillusioned with the funding required to step up the European single seater echelons below F1. 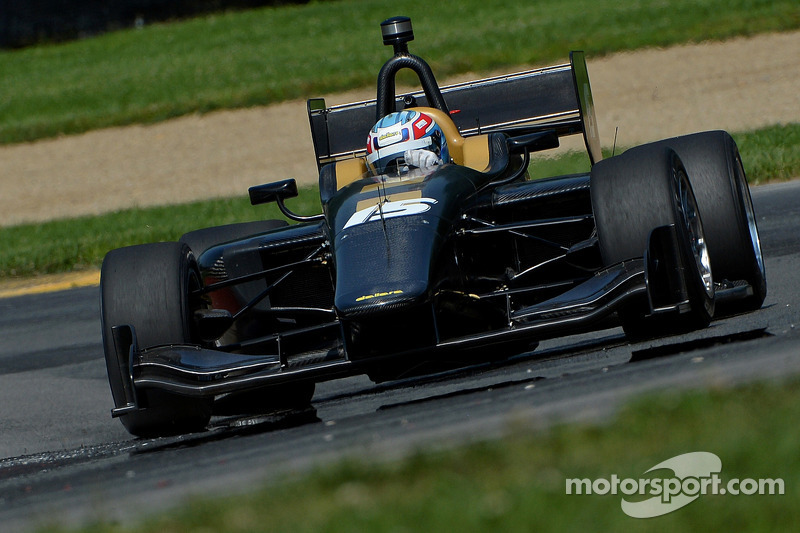 I for one will be eagerly keeping track with the revamped Indy Lights series next year.